A recent study by British scientists have shown encouraging evidence that retinoic acid can slow the progression of emphysema and in some cases, even reverse damage caused by the disease. This acid is found in Vitamin A. Results from tests on mice have been very positive and the scientists how to begin human trials in the near future. This study is being conducted by doctors at King’s College in London where they have made great strides in revolutionizing treatment for COPD and other respiratory ailments. Chronic obstructive pulmonary disease (COPD) is a umbrella term that includes emphysema. Emphysema is a progressive lung condition that affects the tiny air sacs in the lungs, alveoli, and causes them to fill with air. Over time these air sacs expand causing them to burst or become damaged, which causes the lungs to form scar tissues. These scar tissues will begin to affect the patients breathing ability by making them progressively short of breath, which is a side affect known as dyspnea. 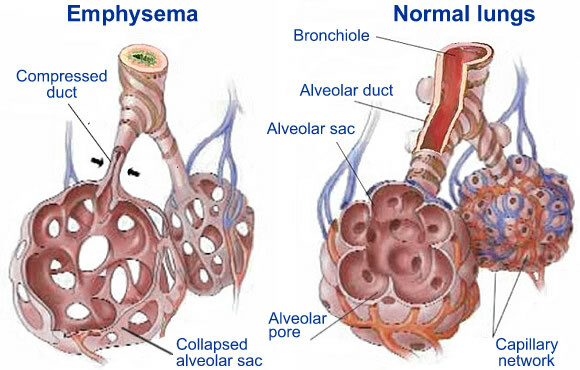 Eventually the alveoli turn into swollen air pockets referred to as bullae, eventually causing less and less surface area for the lungs resulting in less oxygen entering into the bloodstream. When the alveoli becomes damaged so do the tiny fibers that hold open the airways leading to the alveoli, causing them to collapse and trap air every time the patient expels air. 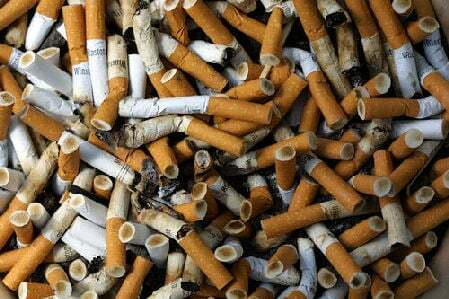 The number one cause of emphysema is long-term cigarette use. Chronic Obstructive Pulmonary Disease (COPD) is just that: chronic. There is no known cure for many respiratory diseases, from asthma to emphysema, but there are medications, whether oral or in aerosolized form, that your doctor may prescribe to slow down the progression of your disease and its symptoms. The good news is that there are five non-medical treatments you can do on your own to keep your respiratory symptoms at bay and continue to enjoy quality of life with a chronic ailment. Although it may be hard to believe, the surgeon general released a new report which found that smoking and second hand smoke are much worse than we thought. The report, which was published 50 years after the first surgeon general report on smoking, shed some light on new ways smoking harms people. COPD, lung cancer, heart attack, and stroke are just four major health conditions that can be caused by smoking. 50 years after the original surgeon general report and there are more diseases and health conditions to add to that list. When treating emphysema, staying healthy is crucial. 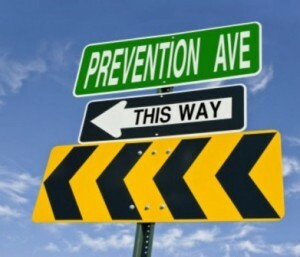 There are a number of things you can do to ensure your health like; exercise, diet, and getting enough sleep. 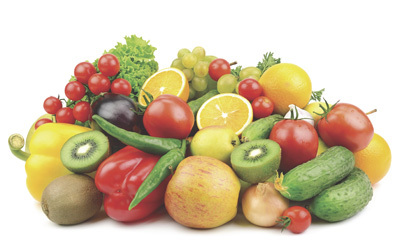 Having a healthy diet plays an important role in staying healthy with emphysema. 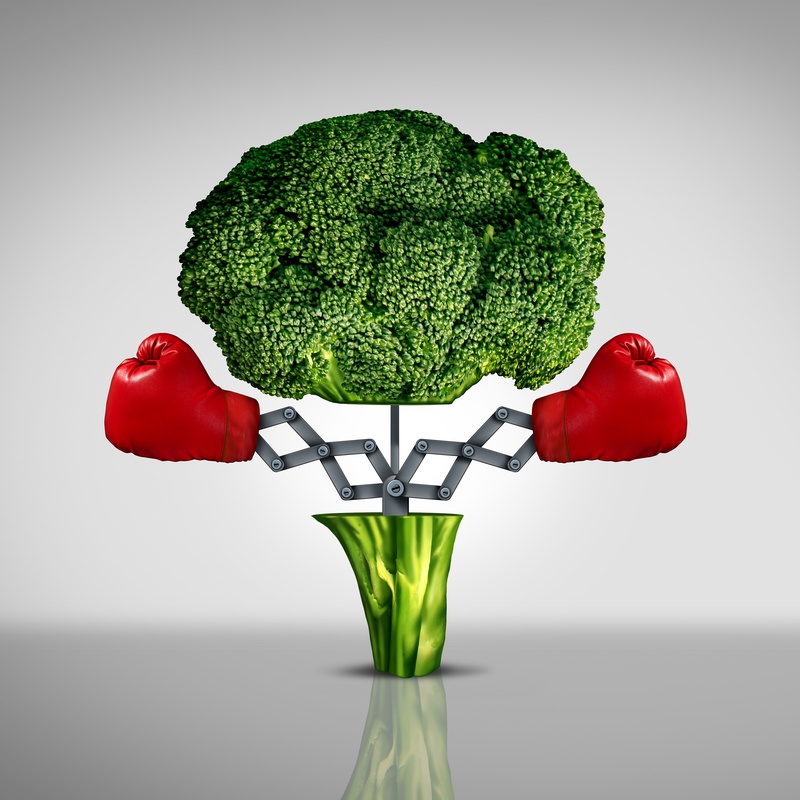 Although your eating habits cannot cure emphysema, you can improve quality of life, boost your immune system, and possibly alleviate some nagging symptoms.